Posted on October 20, 2009, 6:08 pm, by ayn, under Photography. 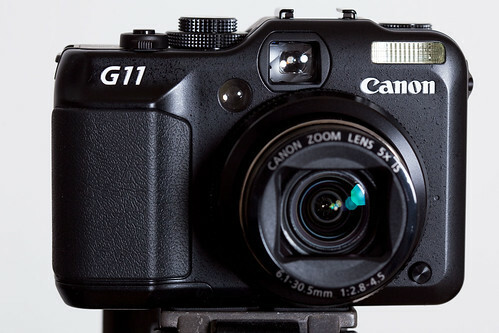 I was pretty excited when Canon announced the Canon PowerShot G11. My SLR rig is too large, and I want a decent walk-around camera. The G11, from the specs, seems to fit the criterias for a DMD (decisive moment digital). You can tell the lens on the G11 is incredible from the samples at the Canon Japan site. The decreased pixel count is great as that means lower (better) pixel density – 23MP/cm² – which should translate to better noise performance in high ISO settings. Noise control is very important to me, especially with a P&S. Built-in flash almost never yield decent shots, it is best to turn flash off when shooting indoor. In fact, I only use it for fill flash, and to get catch lights in the eyes, not as a primary light source. I was really anxious to pick up a G11, I checked Amazon daily for weeks. When I learned that Best Buy had them in stock, I immediately went to check it out. I played with their demo unit in store, it was fairly obvious that the noise performance wasn’t great from playback shots on the LCD. The next day I found a 10% coupon, that made Best Buy’s price comparable to ordering online. Knowing that American Express would refund my restocking fee if I want to return it, I went back and picked one up. How about shutter lag? My LX3 is the best P&S I have had in this respect. Shuttle lag is ok, I haven't shot with the LX3 or enough P&S to compare, will test out an LX3 and GF1 when I get a chance. 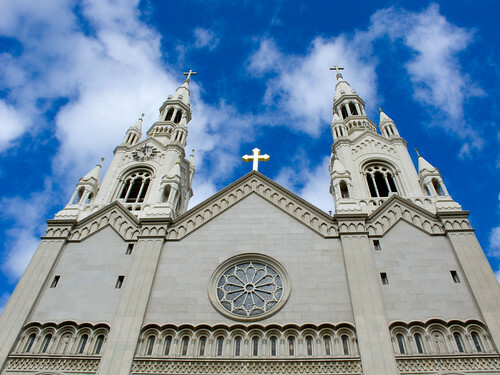 Those are pretty impressive pictures you've taken with the G11. I just bought mine last week and have yet to use it outdoors extensively. I'm not a professional photographer or a serious amateur. Neither am I exactly a novice to photography (been taking pics with a Kodak Instamatic 133X as a 12 year-old kid in 1976), owned my first Canon AV-1 film SLR in 1982 and used a Canon EOS 620 extensively in 1987. You could say that I'm just an occasional photography enthusiast. I left photography as a hobby for many years until 2004 and picked up a Canon PowerShot A80. Digital photography was something new to me then and I had to re-learn the subject from scratch. Ever since then I upgraded my A80 to a series of PowerShots: S2is, S3is and the A620. I never considered dSLRs as they were too costly for me several years ago. Coming from a background of P&S and bridge cameras and tens of thousands of images later, I've come to terms with the limitations of noise in cameras with tiny sensors. I learned that my A620 actually had lower noise than the more expensive S3is ultrazoom, which I initially thought was the better camera. While both models had the same DiGIC II processor, the S3is had a much smaller sensor (1/2.5" vs 1/1.7"). Up until just last week, my cameras in active duty are the EOS 450D and DSC-W150 ultracompact. My PowerShot S3is is in semi-retirement, but I will still use it when I need a small, discreet camera with a long optical zoom. or low ISO speed photography. I had donated my long serving PowerShot A620 to my brother some months ago, so I was lacking a digicam bridging the gap between my dSLR and my ultracompact. I carry my Sony W150 with me all the time, but the image quality is just OK. At ISO 800, photos are too soft with details smudged out – let alone ISO 3200. I only take out my 450D on special occasions when it's worth to lug the large camera and the rest of the gear. So when the G11 was announced, I was determined to buy one and waited. I did read Canon's claims and looked at their test photo samples. Coming from a long running background of P&S cameras, I knew I had to take Canon's sales pitch with a pinch of salt. Yes, I was confident the G11's image quality would be much better than any of their PowerShot A and S/SX models ever made, perhaps a marked improvement over the G10, but hardly close to even that of the old EOS 400D. When the G11 hit the shelves in Malaysia, I wasted no time in buying one. I did a couple of outdoor low light tests with and without flash (I used the built-in flash, a 430 EX II and 270 EX). I was happy to note that at ISO 800, my G11 exhibited much better noise control than any of my other cameras except for my 450D of course. That said, I'm very pleased with my G11 and it's the best fixed lens camera I've ever owned (or tried). I think most photographers who come from a mainly dSLR background tend to be over-realistic in their expectations when it comes to P&S cameras – even with the G11. They scream bloody murder when they discover their brand new $500 P&S camera's high ISO performance below their expectations. Were they expecting Canon 5D Mk II-like low noise in the first place? That said, how many 5D Mk II owners routinely take pics at ISO 12,800 let alone ISO 25,600? Yes, the camera allows those insanely high ISO sensitivities, but images taken at those ISO speeds are terrible. Personally, I find an optical viewfinder, no matter how small (you should look through the OVF of a Sony Cyber-shot and see how tunnel-like it is) is always better than nothing at all. I would never buy a P&S camera without an optical viewfinder – although most of the time I use the live view LCD to compose shots, I feel one without an OVF is like taking pics with a cellphone. 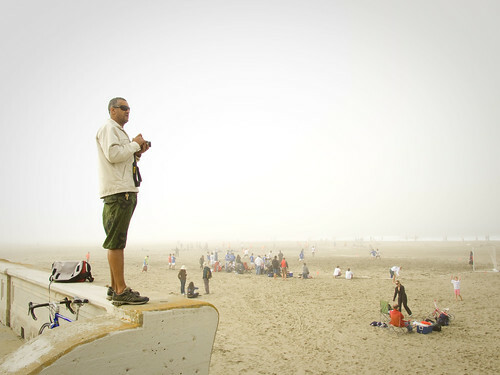 True, optical viewfinders in a P&S camera show you about 70% of the frame at most . One should not compare them to dSLR viewfinders. My experience with electronic viewfinders in my PowerShot S2/S3is tell me that they're pixelated and laggy although they yield a 100% sensor coverage. Canon's recent SX10/SX20is have higher resolution EVFs but they're not much of a remarkable improvement over their predecessors. 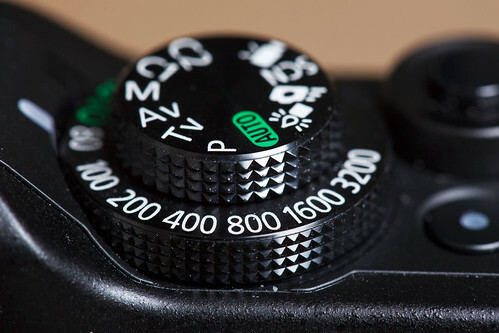 Nothing beats an optical viewfinder, whether in a dSLR or a point-and-shoot. Back to the G11, I think you should hang on to it for a while. Current camera technologies do not permit small sensor P&S cameras to yield pics similar to that of APS-C sensor dSLRs (or Micro 4/3 cameras, if you like). 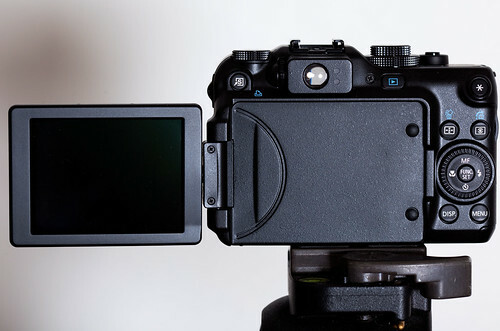 Just give yourself a chance to get acquainted with your G11 – once you've gotten used to it and can accept its given flaws, you'll not want to see the high ISO shots of lesser models. Trust me, I've been there and done that! 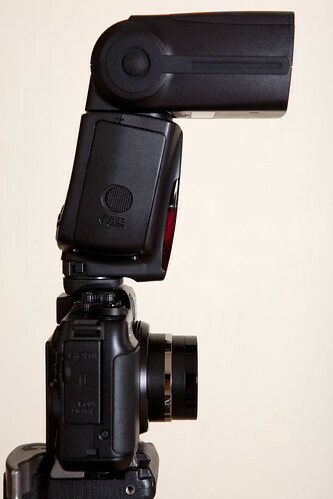 Great post, thanks for showing pics of a 580EX II stacked on top of a G11. It looks top heavy for sure! Glad you're enjoying the G11, I said that my expectation on the noise control might be too high, but that was also what Canon said about this camera, so imagine my disappointment when I looked at ISO 1600 shots, not even in full res, but you can see the noise without zooming on the LCD in the back! I can't say I shoot my 5D Mark II at ISO 25600 often, but I do shoot at H1 and definitely ISO 6400 *a lot*. The thing is that I do want usable ISO 3200, as it is very useful for the type of snapshots I would use a P&S for. The Fuji F30, a 4-year-old camera, has better noise control than the G11, which to me is unacceptable. I brought the G11 with me to Mexico for a friend's destination wedding last weekend, that was the final test for the camera, and after going through the images, and most of which were shot at ISO 80, I decided I really don't like it enough to keep it. At the CaliberSF photowalk last Saturday I got to play with an LX3, I really like the size and the image quality is quite amazing, ISO 1600 looks reasonably clean, so I just ordered one last night, should be here tomorrow. I'll see how I like it, the lens should be amazing. If the LX3 doesn't work out I think I will have to wait for the X1, unfortunately that costs 4 times more than the G11 and the LX3, but at that point I will just have to completely give up on small sensor cameras. The D90 sensor on the X1 should work well enough. Thanks for sharing your thoughts, appreciate it. I remember my transition from film based SLRs to digital P&S cameras was rather daunting for me initially. I actually bought my first Canon A80 without doing much research – it was a Canon and I thought the swivel-out screen was pretty handy. My original intention to get a digital camera was to take photos of my watch collection and share pics of them in the Seiko & Citizen Watch Forum, where years later I became a moderator. I remember seeing the old Canon G6 at the stores but it was quite expensive at the time and I couldn't afford it. Ironically it was the old Panasonic FZ3 model that got me interested into ultrazooms in the first place, but when I saw the original Canon S1is (by the time it was making a graceful exit), I thought I'd wait for its successor – the S2is. One of the reasons I stuck to Canon PowerShots was because they use AA batteries. I had lots of rechargeable NiMH AA's and I could share the lot across my cameras. I shunned anything that used proprietary lithium ion batteries as they were costly (one of the reasons Panasonic Lumix and Nikon Coolpix were never considered). I felt strange when I got my Sony DSC-W180 in June this year – I had to accept proprietary LiOn batteries and not to mention the costly MS Pro Duo card for the first time. When I decided to cross into dSLR territory, Canon was my obvious choice. I did look at the Sony Alphas but considered all aspects – resale value, lenses, 3rd party accessories and user groups. dSLRs are very costly in my country – what is considered "within reach" in the U.S. (like your 5D Mk II) is grand luxury over here. It's due to the much lower purchasing power (lower wages) in Malaysia. In the meantime, I'll make full use of my G11. I hope Canon doesn't release a G12 with a super low noise sensor with gapless microlenses too soon. I'm going to bang my head against the wall if they did! 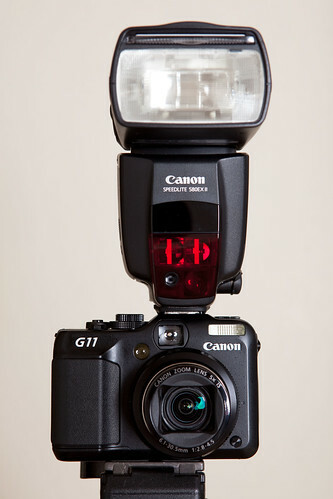 a) do you find the G11's lack of E-TTL II flash mode affect the outcome of bounced flash shots compared to your 5D Mk II? b) my G11's AWB setting exhibits an ugly greenish cast in tungsten lighting. While this is easily correctable with custom WB, my other PowerShots default to warm orange hues instead. I'm just wondering if it's just my camera. To answer your question, the lack of E-TTL II doesn't really a make much difference in bounced flash, because in that situation the distance information is not all that important, it's just a matter of metering with the pre-flash. Stuff like mirrors are not gonna throw off exposure by much in bounced situations either. The AWB works ok, not great, but I always shoot raw and adjust the WB in post-processing myself. I also own a WhiBal card for accurate WB for product photography. The 60 macro is a great lens, but if you think you're going to eventually upgrade to full frame, then you might want to get the 100mm instead, I have it and it's a great lens. I'm considering trading it in for the new L version though, I can't quite deal with the harsh bokeh on the 100/2.8, so I only use it for macro. It's incredibly sharp, almost too sharp at times. By the way, if you look for my 5D Mark II post on this blog you will read that my #1 complaint is the AF pattern and AF system on that camera. The AF on the 7D is actually much better, I think it's a really great camera for the price, even out here it's still almost $1k cheaper than the 5D Mark II, and $1k can get you a really nice lens like the 100/2.8L IS macro. At the end of the day, we can talk about gears and compare specs and looking at images all day long, but we should use what we have (and that's my iPhone 3GS a lot of time! ), and figure out how to use them to the fullest potential. The gears are just tools for the job. So go out and shoot, the G11 is definitely one of the best P&S one can have, I am just very critical about cameras and also what I want from a P&S is very different than yours and probably very different than Canon's target audience for the G11. The LX3 will be here tomorrow and we'll see how I like it. It's at least much smaller so I can have it with me at all times for real. The lens is fast and good, I think anything above ISO 800 will not be comparable to larger sensor cameras, but I've seen some ISO 1600 shots on Flickr that were decent. Many thanks for your replies. I was under the impression that the G11 supports E-TTL II at fist, but I when I searched the user's manual (PDF version, I never open the sealed printed manual, lol) there was no mention of the E-TTL II. In any case, I'll have to compare the bounce flash shots of my EOS 450D vs G11 using the same flash units. The Speedlite 270 EX's light weight makes my G11 feel more solid in my hands. Your iPhone 3GS shots are really nice – I've used Ericsson and Sony Ericsson phones since 1995 but never took camera phone pics seriously until I saw your image of your gear, I assumed it was shot with a proper digicam. I've never owned a white or grey balance card – I usually look for any color that I know is white or grey and use such objects for color correction. Taking cue of your advice, I'll search for one! Oh, I erred on my statement on the 5D Mk II being similarly priced to the 7D. I browsed Canon Malaysia's official site again and I realized I didn't compare their prices "body only". The 5D Mk II and 7D are beyond my financial reach, short of winning a lottery. I had considered the EF-S 100mm 2.8 USM macro but it's much more expensive than the 60mm. 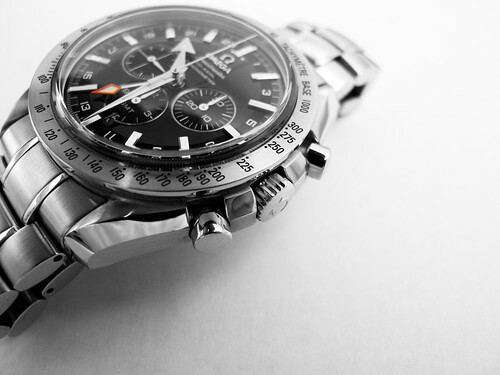 Of course the bokeh on the 100m is superior to the 60mm, but I intend to use it mainly for shooting pics of my watches. And no, sorry I don't know your friend Ming Thein…I collect only Japanese brand watches and don't know much about Swiss brands in detail. (Hence my confusion with Aqua Terras and Co-Axials). If it's one thing about the G11 that I find pathetic, it's the slow shot-to-shot speed. 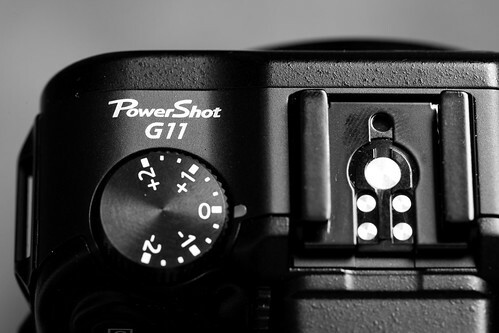 Conventional wisdom suggests that the G11's 10.2MP sensor should take faster shots compared to the older G10's with its 14.7MP sensor. I guess the G11's DiGiC 4 has to contend with more in-camera processing compared to the G11. Oh well. I noted some peculiarities with the G11. Using any mode other than the PASM and Quick Mode disallows white balance and custom color options to be made. The low light and SCN modes won't allow me to take pics in monochrome, for example (what a pity). 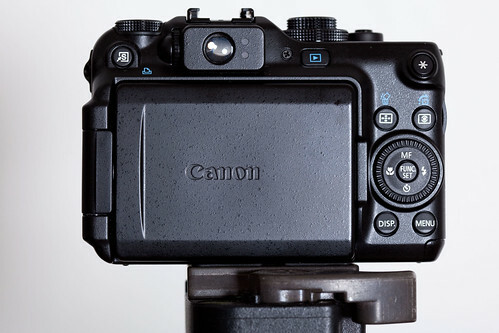 Of course, I could use the Av or P modes but I wonder why Canon placed the constraints in the first place. Hope your new Lumix LX3 pleases you! Oh, if it's not bothersome I have one more question. Whenever you decide that some particular shots are to be in black-and-white, do you manually set your camera to monochrome or shoot them in color and post process them to monochrome later? In your experience, are there differences in tonal graduations between the two techniques? Check out Ming's Pullfolio showcase. We were pretty active at TimeZone about 10 years ago, and then ThePuristS' photography, Lange, JLC, and other forums. Both the 100/2.8 USM Macro and the new 100/2.8L IS macro are EF, not EF-S. You're aware of the fact that EF-S lenses don't work on fullframe bodies right? For B&W shots, I shoot RAW and do B&W conversion either in Camera Raw or with an adjustment layer in Photoshop. For portraits I prefer to use the channel mixer with a lot more red than green and blue (like 80/10/10), this smooths out the skin, and then I add a curve layer to get more punch. For everything else, I prefer using a Gradient Map adjustment layer. Those scene modes and auto modes are limiting like that, that is true in the entry-level and mid-level dSLRs as well. If you want complete control, shoot M, Av, or Tv. 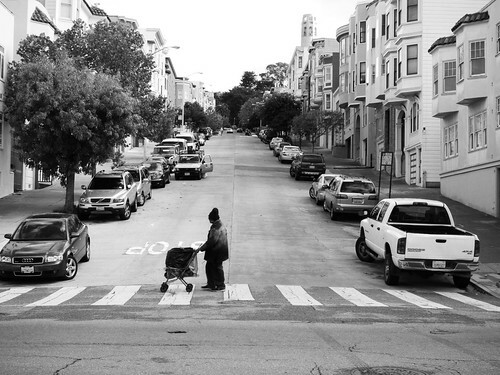 I posted some shots from the LX3 on Flickr, I like it, but I haven't decided if I'm going to keep it or not. I most likely will. Thanks for the B & W tips, Andrew. I'm a lazy sod when it comes to post processing individual images, unless the image is significant enough to use Canon DPP software. Generally I use the DCE AutoEnhance software for all my cameras (each camera has its own manually tweaked profiles) for color correction, noise reduction, contrast and removal of haze and blue cast. Most of the time I'd set my camera to black & white and the image stays that way. I shoot primarily JPGs, not RAW. On a related note, yesterday I chanced upon two nice young ladies contemplating between the G11 and the LX3 at a camera store. They were bent on buying the G11 but nevertheless asked my opinion on the LX3. I told them that if they needed 24mm wide angle shots most of the time and a fast 2.0 lens, the Panasonic obviously wins. I also mentioned that there's a wider base of Canon G-series users globally, the G11's longer zoom range, the useful backup optical viewfinder, the merits of the swivel LCD screen and the G11's ability to use the Speedlites (not to mention that Speedlites were more easily available compared to Panasonic's flash units), Canon Malaysia's efficient after sales service, a three-year warranty (offered only by Canon Malaysia) and other accessories that can be used with a Rebel series dSLR, should they decide to buy one in the future. Oh, and also the fact that many professional photojournalists worldwide prefer a G-series camera when they don't wish to lug a heavy and prominent dSLR. Needless to say, their attention shifted back to the G11 and they bought one for USD485 with goodies thrown in. P.S. Sorry for the typo regarding the EF 100mm macro USM. I didn't proof read my post. I think you meant to say the A620, not "S620". I had a PowerShot A620 too, it was lighter than my earlier PowerShot A80 but suffered a mildly irritating high pitched whining sound whenever the shutter was half-way pressed for focus lock (the A80 didn't have that whine). Maybe it's because my A620 was made in China while the A80 I had was Japan-made. The A620 was a bit grainy at even ISO 100 and ISO 400 was really bad. On Auto ISO, the A620 tended to use the lowest ISOs possible at the expense of low shutter speeds. Its lack of optical image stabilization made low light shootings worse. You're not the only complainant on the G11's over-strong reds. Some camera review sites noted of this trait and even my own G11 was of no exception. I use the custom color mode with the red slightly toned back and sharpening boosted a tad. Works for me. There's also something odd I discovered with Canon. On some PowerShots, they made remote shooting via computer possible (like the A620 but not with the A610). They did it it again with the G11 by removing the remote shooting capability which the earlier G10 had. Is the grain visible in print? Have you printed the shots? Grain on a computer monitor doesn't bother me. I have printed some shots up to 800iso with a G10 and it's not noticeable or objectionable. Well, if the noise are terrible on the back of the 2.8-inch LCD screen, it will be noticeable when printed, unless of course you print smaller than that. I didn't print anything I shot from the G11, haven't printed for a while. I only print 13×19 so I am very selective on what I print. Awesome camera. A few days hands-on with a new camera have allowed me to form some opinions. Overall I am very impressed, the camera looks to be everything I wanted. Build quality appears to be up to the G-series standard. The wider lens gained with the G10 and carried over to the G11 is distinct improvement. Photo quality meets my high expectations, what else do you want to know? Moving from G10 to G11 I find the build quality now suspect with a plastic rear body shell and the dial control feels cheap. 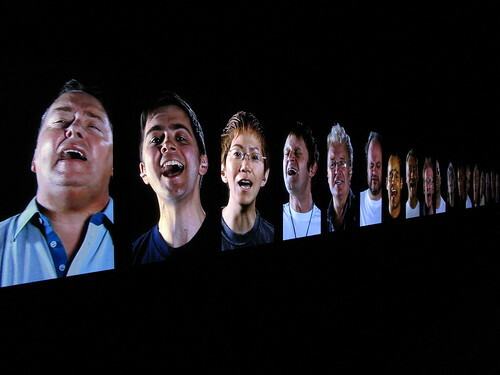 Noise is not an issue, it is better than the G10 and who prints a pic to 20×16 and then sticks their nose up against it? Viewed from a normal distance there is no problem. People obsess about noise when they should be looking at the image! I own also a F30, a masterpiece in IQ… well 4 years after, I though the G11 has the same IQ up to ISO 1600 as the F30 or even slightly better. Can you tell what are the differences between these two cameras in IQ in your opinion? I don't own the F30 so I can't tell your difference between the 2. I have the f50fd and it's decent, noise control is nowhere as good as the F30 though. The G11 is VERY noisy above ISO 800, which to me is unacceptable for a camera that supposedly has good noise control. I would go for a Panasonic LX3 if I were you, I had that for about a week and I like it better than the G11. (I returned that too as it still wasn't good enough for me to keep, but if you absolutely need a high quality P&S, I'd go for the LX3). Well, now I have a G7 and a F30 but before I had a F60 (regarding IQ like a F50) and I did not like it (now my girlfriend is using it!). LX3 won't be my choice because I need an all rounder and the focal range of this camera is too short for me. 24mm f/2 is really fine but the 28-140 of the G11 suits better to my necessities. Probably I will check a G11, using it 2-3 days with my "normal" pictures and compare them with my the results in low light with the F30! If they are not good enough, it will come back to the shop! « Pullfolio private beta! Here’s your invite!